Nat Bartsch is a Melbourne-based jazz and contemporary classical pianist/composer. As a musician and parent, music was always going to be a big part of my son’s life. In utero, Will listened to countless piano lessons, practice sessions and performances. 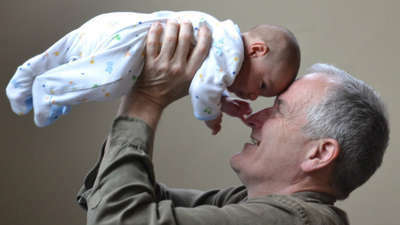 When he was born, I wanted music to be a key part of his day-to-day life. I decided to make an album of lullabies for babies (and their parents). 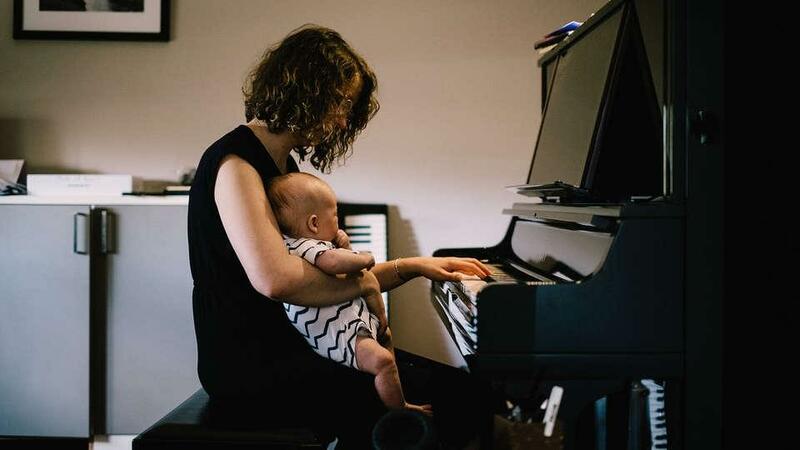 I interviewed some music therapists, who use music to help babies and children when they are sick in hospital as well as in many other contexts, and learnt a lot about how to optimise my compositions to help babies relax. Sadly, playing lullabies to my son was not enough to guarantee a sleepy baby. 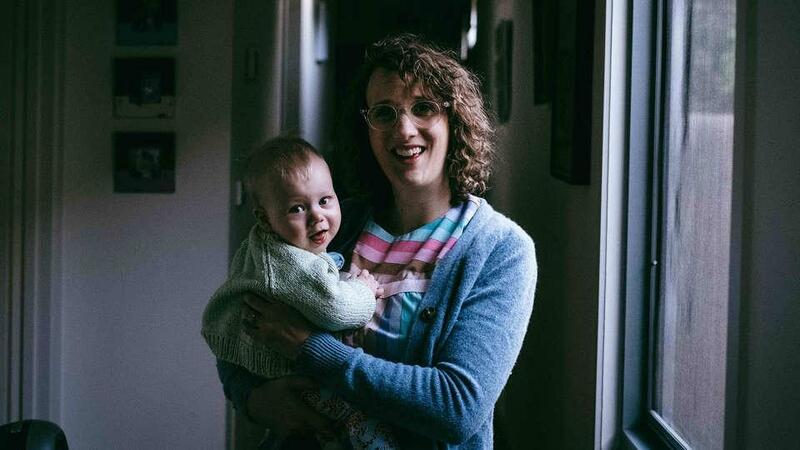 Will started life being remarkably settled, but at six months of age we had a completely different baby. We would battle for at least an hour to get him settled at bedtime, and then I’d feed him two to three times overnight. I recall saying to someone at work, “Last night wasn’t too bad; he only woke at 12, 1.30 and 4am”. It’s amazing how much perspective you lose! When Will was nine months old we went to sleep school. The irony of writing lullabies and then needing this sort of sleep training, is not lost on me!! We also needed extra advice from a sleep consultant over the phone a month or so later. In the end it was a combination of responsive settling (crying) and gradual withdrawal (no crying) from the room that worked best, for different time of the day. During the process I learnt even more about the role of music for encouraging sleep. Will is an incredible sleeper now, sometimes sleeping for 13 hours straight at night! Music is a key part of his routine. After going through this journey I thought it might be worth sharing my insights for other parents out there. Here are some things I have learnt. 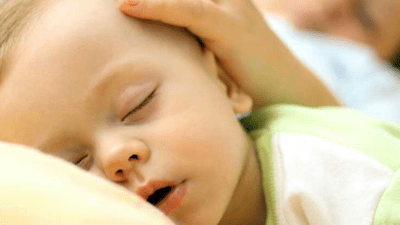 If you are planning to have your baby sleep to music, it needs to be on constantly. I started out playing music to Will from my phone as I tried to settle him to sleep. The problem was that after I left the room he would wake and wonder where the nice music had gone! Now we have an old iPod and iPod dock in his room, and music plays on repeat from the moment he is in the cot, until the moment he gets out of it. Create a playlist of songs, ideally at least two hours long, of beautiful music. 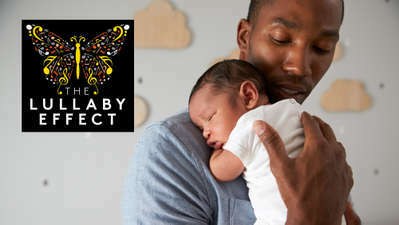 Music therapy research recommends it should be played by gentle instruments (such as acoustic guitar or piano), around 60-80bpm (which is usually the speed of mother’s heartbeat), with no strong changes in intensity or volume. If there’s singing in the music, make sure it stays at a reasonably consistent level of volume: Sufjan Stevens and Ben Abraham are good examples of this. Repetition is important, so neoclassical pianists are also a good choice as they use a lot of arpeggios and patterns (examples include Luke Howard, Max Richter, Olafur Arnalds or (ahem) myself). Downloading some Sleepy Soundtracks from Kinderling Kids Radio is of course another great option! 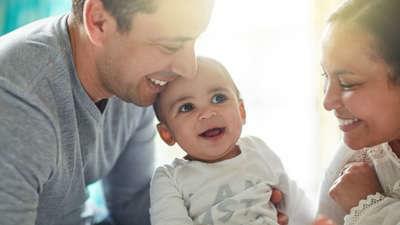 Too often, the focus of music for babies is that is simply that, music for babies. What we forget is that the parents will hear the same music too! (Over. And. Over.) Music therapy focuses on ensuring that the whole family is calm and relaxed. This will help the baby to feel the same way. Make sure you find music that you won’t mind listening to as you’re doing a 3am feed or trying to settle a screaming baby to sleep during the witching hour. 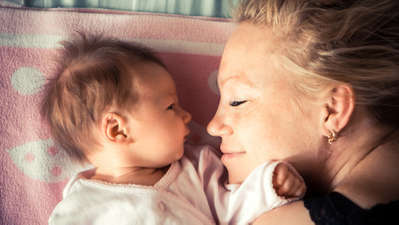 A key part of sleep training is establishing a really consistent bedtime routine, so babies know that it’s time for snoozing. Will’s bedtime routine involves putting on a sleeping bag, doing some stories with low light in the room, putting him in his cot, and turning his music on. The sound of the music acts as a sleep cue for him. The best part about having a portable device for Will’s music is wherever he goes, the music goes. 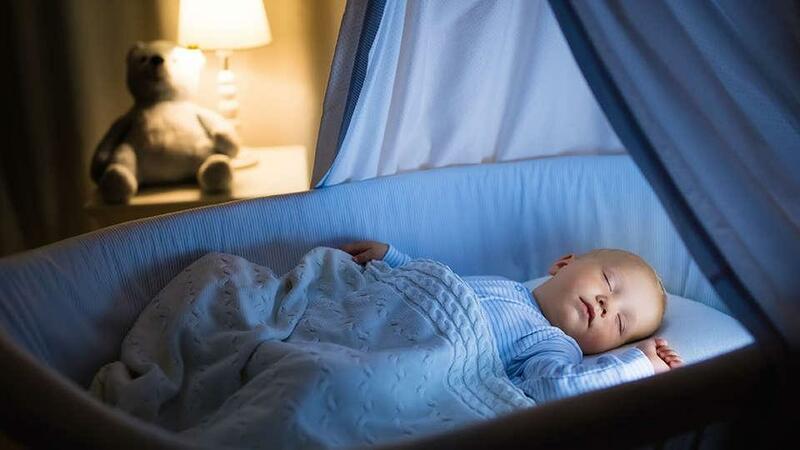 If he needs to sleep somewhere new on tour, on holiday, or at his grandparents, or in the car, he hears the same music and it helps him to settle down for sleep. Surprisingly, it’s important to make sure the music isn't too soft in the room. You want it to be at a volume that helps to block out external noise. The measure I use is whether I can hear the music softly through the wall. 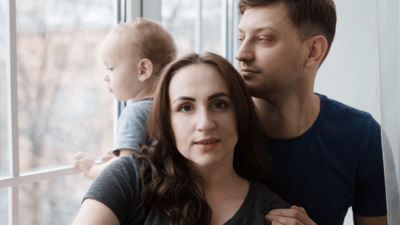 Are you reading this while expecting a baby? Get the playlist sorted now and listen to it while you’re pregnant. Music that babies hear in utero makes them feel calm when they are born as they are reminded of the womb. Listening to relaxing music is no doubt very healthy for a stressed-out mum-to-be anyway! Wins all round. Nat Bartsch’s album of lullabies, ‘Forever, and No Time At All’ is out now on ABC Classics. You can buy it at www.natbartsch.com, retailers and on iTunes and Spotify. 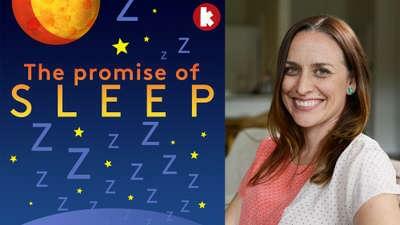 Celebrate snoozing with Kinderling's Week of Sleep! We're arming sleep deprived parents with all the tools necessary to take on the challenge of the z’s. A saviour for the sleep-deprived! It’s easy to feel overwhelmed when baby arrives.